Hitch City’s roots go back to 1969 with a 5 bay service station located in Mississauga. Over the years we evolved from an auto repair shop into the trailer hitch and vehicle accessory specialists we are today. Since 1991, Hitch City has expanded to three retail locations: Mississauga, Scarborough and Barrie. Our product lines have also expanded over the years to include: Draw-Tite, Hidden Hitch, Reese and Curt towing products. We carry: Leer and Raider truck caps & tonneau covers, and Rhino Spray-On bed liners. Arctic, Western, Fisher, SnoWay Snow plows, Husqvarna, Ferris, Kawasaki and eXmark commercial lawn mowers. We are well-known for having a host of accessories to suit almost every pick-up, van and car on the road today. Our family of knowledgeable staff stays ahead of the constantly changing technology, trends and styles through continuing education, manufacturers’ training and trade shows. We buy direct from all of our major suppliers. In doing so, we receive the best possible prices to ensure that we remain competitive for our valued customers. In June 2012, Page Marketing Consultants presented an SEO and Video Marketing Proposal to Mr Peter Pilotas who is the President of the Company. Mr Pilotas goal was to increase the exposure of his company on the internet and drive corporate and consumer customers to its website (www.hitchcity.com)three stores. 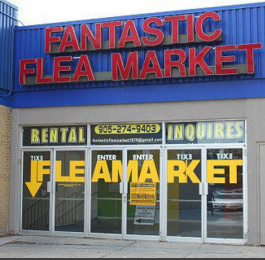 The flagship store was located at 5170 Dixie Road Mississauga, ON L4W 1E3 while the remaining two stores were located in Scarborough and Barrie. During the 6 month contract, Page Marketing undertook On and Off Page Optimization of Hitch City’s Website and undertook the production of at least 10 picture videos and built a Youtube.com channel for the company. In the Fall of 2012, Hitch City wanted to venture into professional video branding by marketing a flagship video for the company. Page Marketing retained the services of John Temu of ? and the video production took two days. Our Company hired Mr Ferdinand Meurer(https://ca.linkedin.com/in/ferdinandmeurer) to be our Chief Video Producer and Editor. It took two month (all of November and December 2012) to edit the video. Hitch City reviewed the video 60 times and recommended a number of changes. The final product below was originally a 3.17 minute video of Hitch City which received 2,800 views. The video below has been edited down by Hitch City. Hitch City response to the final version of the corporate video has been one of satisfaction (due to the considerable editing) and excitement. 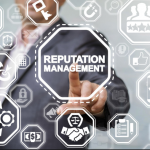 It has been well received by corporate and retail customers and the President (Mr Pilotas )informed staff of Page Marketing in an informal meeting sometime in 2015 that the video generated over $250,000 in business that year, more that what they spent on Google Adwords per year.